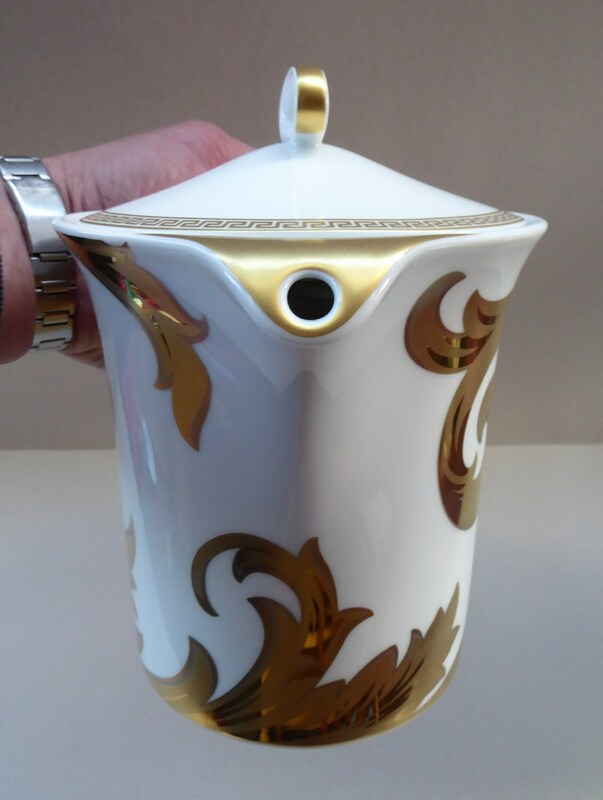 This is a highly collectable and high end combi / coffee pot by Rosenthal. 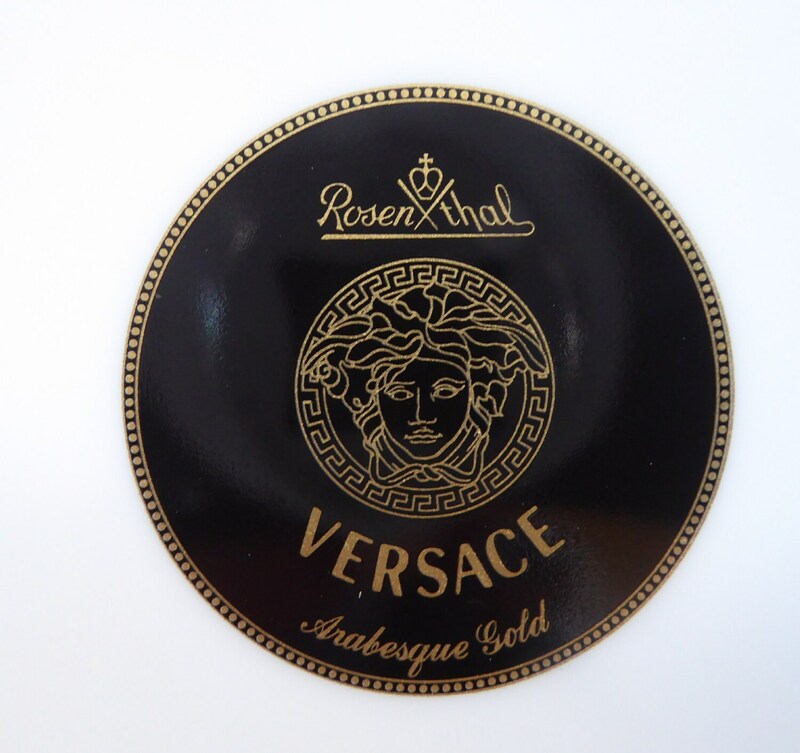 This is one of their most luxurious of patterns and it was designed by Gianni Versace. The pattern is now hard to source and is called Arabesque Gold. 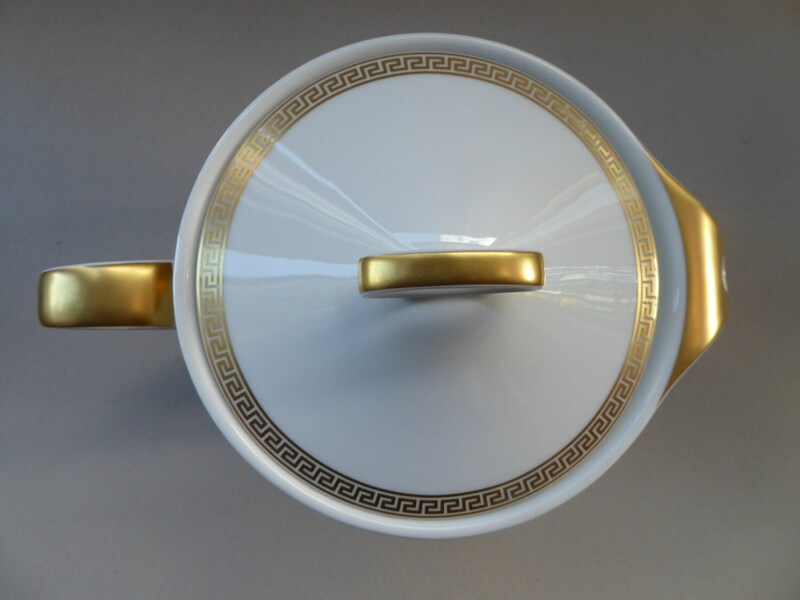 The design has beautiful flow lines with gold arabesque on white porcelain. Around the edges is a classical Greek Key Border. 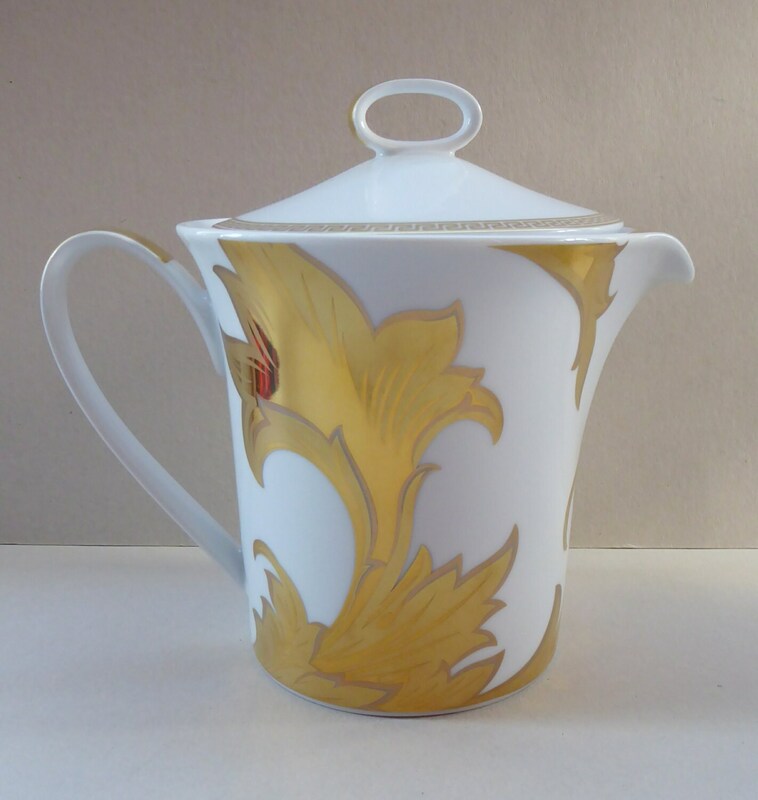 A very classy pot - I also have a matching milk and sugar bowl listed in my store. Dimensions: 7 1/4 inches in height and 5 1/2 inches in diameter. 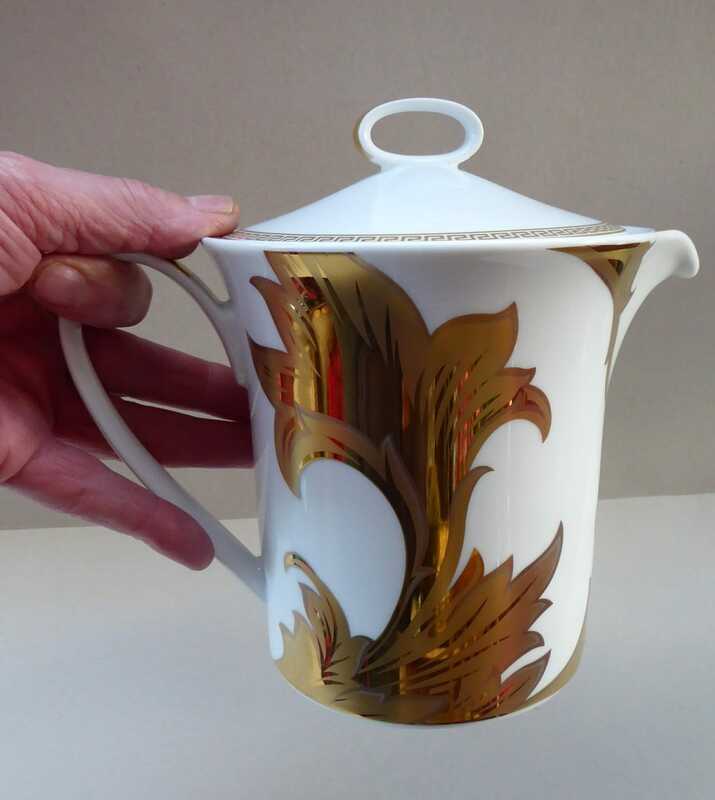 From handle to spout is 8 1/4 inches. This item is not new - but certainly in pristine, as new condition. It has no issues or damages of any kind. It has been difficult capturing all the details of this fine piece - so further images could be sent to you if you have a serious interest in this piece. It is sold without a box. Sadly - I would be unable to post this lovely item outside of the UK. Postage quoted here is for UK Special Next Day Delivery with the Royal Mail.